Beautifully illustrated in a traditional style, Japanese Stories for Language Learners offers five compelling stories with Japanese and English language versions appearing on facing pages. Taking learners on an exciting cultural and linguistic journey, each story is followed by detailed translator's notes, vocabulary lists, and grammar points along with a set of discussion questions and exercises. 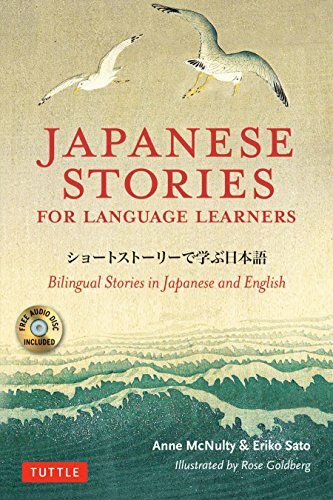 Reading these stories in the original Japanese—and hearing native-speakers read them aloud in the accompanying free audio recording—helps students at every level deepen their comprehension of the beauty and subtlety of the Japanese language. View More In World Literature.